January 20 is the 20th day of the year in the Gregorian calendar.There are 345 days remaining until the end of the year(346 in leap years). 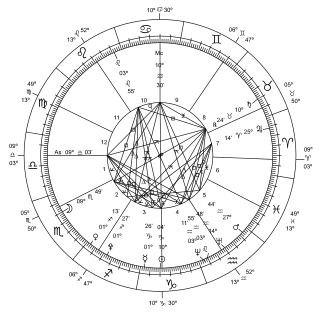 In astrology, a cusp is the imaginary line that separates a pair of consecutive signs in the zodiac or houses in the horoscope. Capricorn(♑) is the tenth astrological sign in the zodiac, originating from the constellation of Capricornus, the horned goat. It spans the 270–300th degree of the zodiac, corresponding to celestial longitude. Under the tropical zodiac, the sun transits this area from about December 22 to January 19 the following year, and under the sidereal zodiac, the sun transits the constellation of Capricorn from approximately January 16 to February 16. In astrology, Capricorn is considered an earth sign, negative sign, and one of the four cardinal signs. Capricorn is said to be ruled by the planet Saturn. In Vedic Astrology Capricorn was associated with the Crocodile but modern astrologers consider Capricorn as Sea goat. Its symbol is based on the Sumerians' primordial god of wisdom and waters, Enki, with the head and upper body of a goat and the lower body and tail of a fish. Later known as Ea in Akkadian and Babylonian mythology, Enki was the god of intelligence, creation, crafts; magic; water, seawater and lakewater. 1929 – The first full-length talking motion picture filmed outdoors, In Old Arizona , is released. Pope Fabian was the Bishop of Rome from 10 January 236 to his death in 250, succeeding Anterus. He is famous for the miraculous nature of his election, in which a dove is said to have descended on his head to mark him as the Holy Spirit's unexpected choice to become the next pope. He was succeeded by Cornelius. Year 225 (CCXXV) was a common year starting on Saturday of the Julian calendar. At the time, it was known as the Year of the Consulship of Fuscus and Domitius. The denomination 225 for this year has been used since the early medieval period, when the Anno Domini calendar era became the prevalent method in Europe for naming years. Year 1029 (MXXIX) was a common year starting on Wednesday of the Julian calendar. Year 820 (DCCCXX) was a leap year starting on Sunday of the Julian calendar. 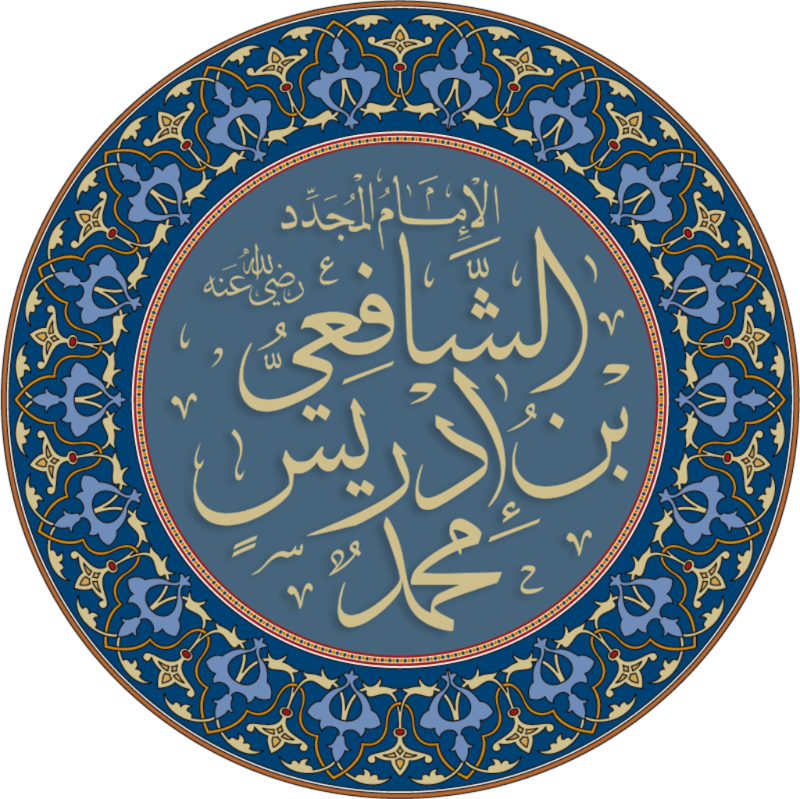 Abū ʿAbdullāh Muhammad ibn Idrīs al-Shāfiʿī (767–820 CE, 150–204 AH) was an Arab Muslim theologian, writer, and scholar, who was the first contributor of the principles of Islamic jurisprudence. Often referred to as 'Shaykh al-Islām', al-Shāfi‘ī was one of the four great Imams, whose legacy on juridical matters and teaching eventually led to the Shafi'i school of fiqh. He was the most prominent student of Imam Malik ibn Anas and he also served as the Governor of Najar. Born in Gaza, he also lived in Mecca, Medina, Yemen, Egypt and Baghdad. Year 842 (DCCCXLII) was a common year starting on Sunday of the Julian calendar. ↑ Herbermann, Charles, ed. (1909). "Pope St. Fabian" . Catholic Encyclopedia . 5. New York: Robert Appleton. ↑ "Milestones: 1776–1783 - Office of the Historian". history.state.gov. Retrieved 2018-05-22. ↑ Osman Aziz Basan (24 June 2010). The Great Seljuqs: A History. Routledge. pp. 117–. ISBN 978-1-136-95392-7. ↑ Dr Matthew McLean (28 June 2013). The Cosmographia of Sebastian Münster: Describing the World in the Reformation. Ashgate Publishing, Ltd. pp. 10–. ISBN 978-1-4094-7981-9. ↑ Hans Joachim Hillerbrand (1967). A Fellowship of Discontent. Harper & Row. ↑ "Joey Bada$$ Talks New Album, Performs With Pro Era: Video". Billboard. 2013-02-26. Retrieved 18 December 2018. ↑ Christopher Hawtree (22 January 2003). "Al Hirschfeld". The Guardian. Retrieved 19 February 2019. ↑ Garth Cartwright (20 January 2012). "Etta James obituary". The Guardian. Retrieved 19 February 2019. ↑ "Alejandro Rodriguez, former director of Child Psychiatry, dies at 93". Johns Hopkins Gazette. January 30, 2012. Retrieved 19 February 2019. ↑ Matthew Fort (22 January 2018). "Paul Bocuse obituary". The Guardian. Retrieved 19 February 2019. ↑ "Naomi Parker Fraley, the Real Rosie the Riveter, Dies at 96" . Retrieved 7 March 2018. Wikimedia Commons has media related to January 20 .